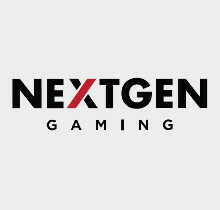 One of the most experienced online gaming providers around, NextGen might now be part of the NYX Gaming giant, but it still churns out top-quality slots under its own name. But whether it's online, mobile or land-based games, NextGen's focus on slots has meant it can devote a lot more time to quality rather than spread itself too thinly. As a result, some of the best games released in the past few years have come off the NextGen production line. Formed in 1999, NextGen has moved owners during its lifetime, but through its online partners continues to innovate when it comes to top online and mobile slots. The firm expanded rapidly from its early days and merged with NYX 12 years after forming to make the powerful NYX Gaming Group. NYX itself acquired Cryptologic from Amaya a year later but NextGen continues to operate under the NYX banner and produces games. In fact, it has now released over 600 games via Microgaming's QuickFire platform, including classic slots, branded titles, and innovative features like Dyna-Reel and Up Wild games. All games are available under NYX's own 'OGS' (Open Gaming System) platform. NextGen has a select group of online partners for its games, including bwin.party, betfair, Unibet, and William Hill. The firm boasts a 50-strong 'Game Innovation Team' which is responsible for bringing to life patented game ideas for its partners. 'Select-a-Play': Offers slots players a choice of free spins variations, like high spins/low multipliers or low spins/high multipliers which let players set their own game volatility. 'Dyna-Reel': The areas between reels are used in games to add to players' wins. 'Up Wild': A feature which sees Wild symbols work their up a reel to leave more wilds in their place. 'Slide-a-Wild': A NextGen exclusive where players can manually move certain symbols like Wilds along the reels. The 'power' of the Wilds can be set pre-spin by the player. NextGen also adapts many of its games for mobile and tablets, including a solid Judge Dredd slot - released in 2014 - and 'Easy Slider' which utilises the tablet's gyro mechanism. With a small additional bet, Dredd's 'Super Bet' function allows players to unlock extra features like bonus free spins and bigger multipliers. Medusa II was released in Flash and HTML5 formats in 2014 and featured for the first time NYX's 'Locked Reels' feature. And the popular NextGen slots aren't just the innovators: Doctor Love and Doctor Love on Vacation feature retriggerable free spins rounds with 3x multipliers. Under its new owner, the NYX 'MOVE' Mobile Gaming System allows for top-performing bingo and casino games to be played on smartphones and tablets. It's not just online and mobile real-money slots that NextGen is known for. The developer is also a respected social games supplier to boot, bagging the 2012 eGR award for Social Gaming Supplier of the Year. Free-to-play and social casino games are provided via an all-in-one 'turnkey' platform for operators.